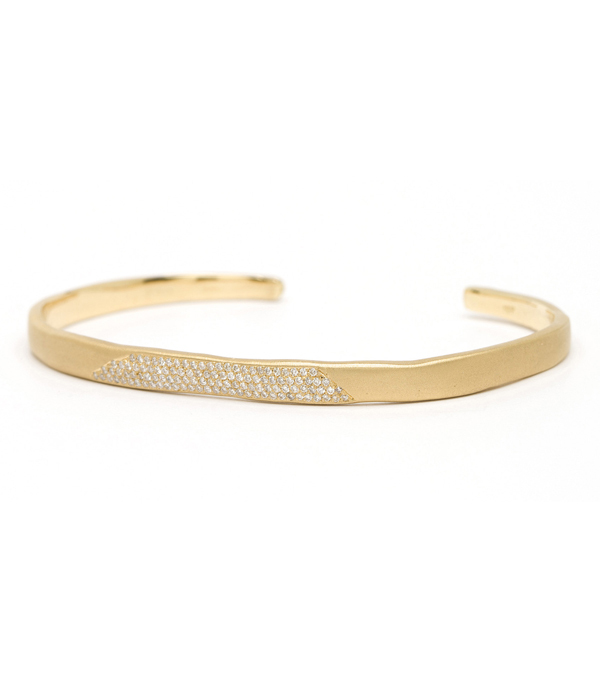 Add this gold cuff bracelet to your list of must-haves. 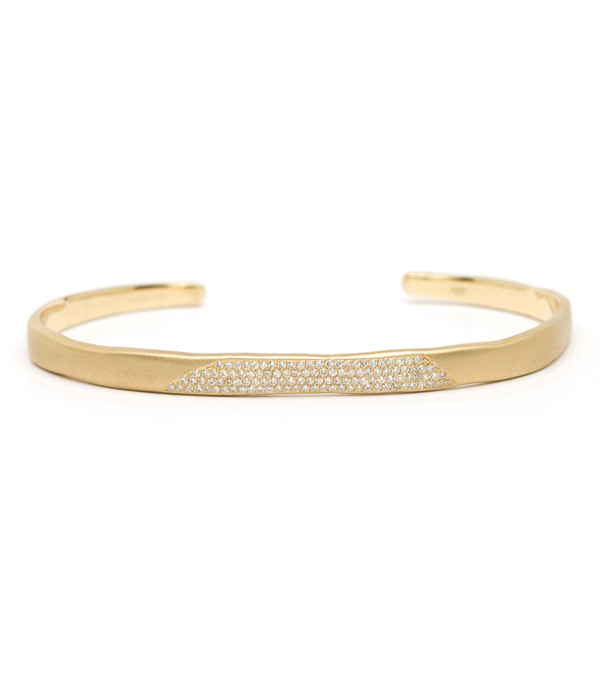 This timeless piece is crafted in solid 14K matte yellow gold and features four rows of pave set diamonds (0.38 ctw) that shine like glitter flakes in contrast to a smooth matte gold background.This 7mm torn paper edge 14K matte gold and diamond bracelet defines subtle luxury. Simply stunning!